Lubuntu 16.10 was released since then, so let's have a look on this new release now. I have also written a review of Kubuntu 16.10 recently, so I will compare Lubuntu and Kubuntu here and there as we go. I downloaded Lubuntu 16.10 64-bit from the torrent, but you can also use one of many mirrors to get your copy of ISO. It is about 850 MB in size, which is very decent nowadays, but still more than a CD size. I used the dd command to "burn" the image to the USB stick. If you have difficulties with downloading or burning the ISO image, you can order a disk from the BuyLinuxCDs.co.uk site, and your order will be delivered anywhere in the world. Not only Lubuntu, but other Linux operating systems too. So, the USB stick is in the port of my Toshiba laptop. Reboot. Choose to boot from USB. Let's go. If you look at the history of Kubuntu boot process for the last 5-6 years, you notice that it went from the boot menu with a choice of several different options, through the choice only between Live run and Install, to the current state of no choice at all: the operating system always boots into the Live session that can initiate the installation. Lubuntu remained on the first of these three phases. You still have a menu with various boot options at the very beginning of the process in Lubuntu 16.10. Once you make the choice, the boot process itself takes just seconds to complete. Once the boot process finishes, you end up on the default desktop. 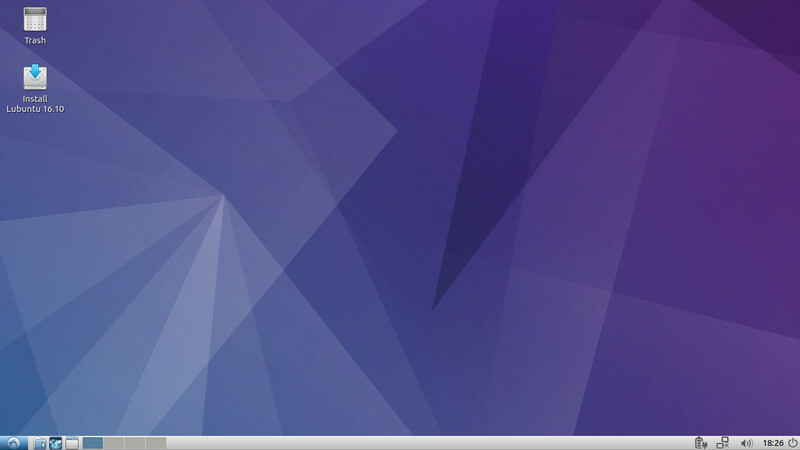 It has a wallpaper in Lubuntu's "corporate" purple colours. Two icons are on the desktop: Trash and Install. Quite a strange combination, I must admit. Never mind. The bottom part of the screen is taken by the panel, which has a menu button, several quick-launch icons and a virtual desktop switch on the left, and a notification area with battery, network and volume indicators together with clocks and shutdown button on the right. 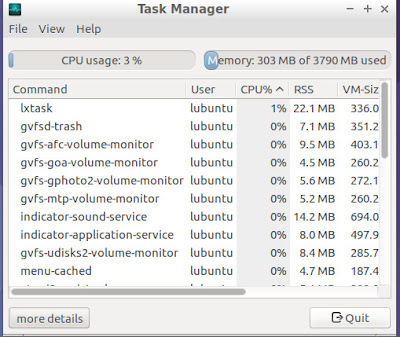 The freshly booted Lubuntu 16.10 operating system takes just over 300 Mb of memory, which is very good result. Just compare it with 390 Mb of Kubuntu 16.10 and 800 Mb of Ubuntu MATE 16.10. 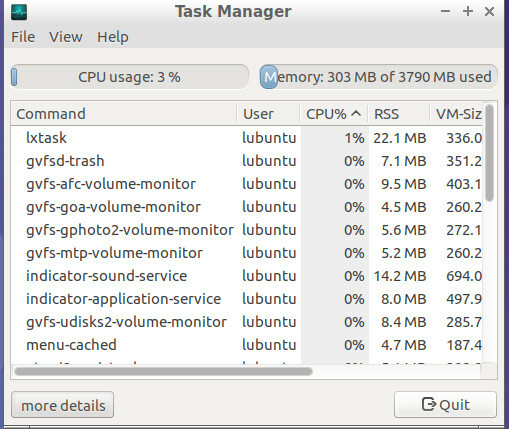 At the same time, it is more than 235 Mb taken by Lubuntu 16.04.1. Lubuntu 16.10, as well as Kubuntu and Ubuntu MATE in the same family, had no issues with configuring of the wireless network card in my laptop. Just a few clicks, enter the password and I was connected to my home WiFi network. PCManFM file manager, the default one in Lubuntu 16.10, has the Network option in the Go menu. I used that option to navigate to my network drive, which was later successfully connected. The only thing I would mention here is that the Network option is only available through the menu of PCManFM, but not in the left "Bookmark" section, like in many other file managers. As I mentioned before, the boot process of Lubuntu 16.10 starts with a menu featuring several options. One of them is the choice of the default keyboard. I selected English UK there, and my operating system set it up correctly. If you want to change the default keyboard or add another language, you can use the process similar to Xfce: add the "Keyboard layout handler" icon to the panel, right-click it, and configure layouts in the Settings. You can add several layouts and configure a switch shortkey in that window. Lubuntu 16.10 comes well equipped for all the multimedia needs you may have. I tried various multimedia files and sites, and experienced no issues at all. My MP3 files played well in the default Audacious player, while Youtube, BBC, iPlayer, and Vimeo videos opened without any hiccups. The ISO image of Lubuntu 16.10 64-bit is just over 850 MB in size. It could not leave the set of applications included in this distribution untouched. The set of software you get out of the box is rather scarce. Firefox 49 is default and the only internet browser available. Other Internet tools include Transmission torrent client, Pidgin internet messenger and Sylpheed email client. Gnumeric and Abiword are the only productivity tools you can find in Lubuntu 16.10. I think Lubuntu and Emmabuntus are the only distributions that still use these applications by default now. Oh, and may be Knoppix, but I have not checked that for ages. 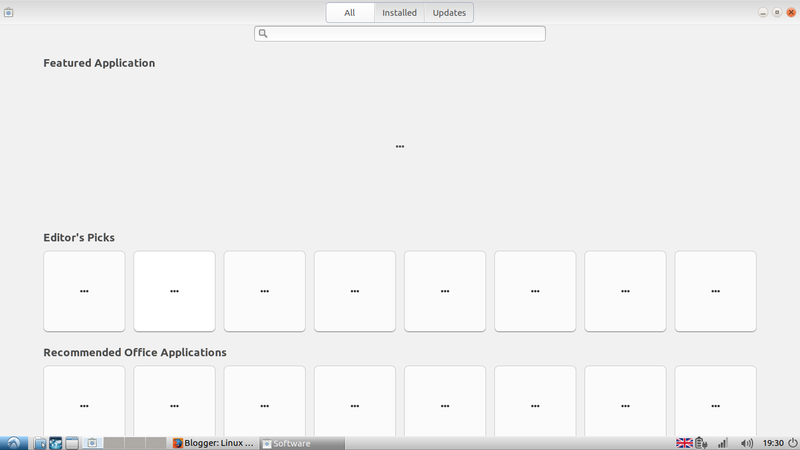 Emmabuntus includes LibreOffice applications too, whereas there is no choice in Lubuntu. Multimedia tools include above mentioned Audacious player, GNOME MPlayer, Xfburn disk burning utility, Pulse audio control and a Guvcview web camera tool. There is a small but notable difference from the 16.04 version. Lubuntu switched from Alsa to Pulse Audio. The Graphics section of the Lubuntu 16.10 menu includes Document Viewer, SimpleScan and a simple mtPaint editor. There are many other small utilities and system administration tools in the relevant sections of the menu. It is very likely that you will need to remove or add software in this operating system, and Synaptic is your old good friend here. It is available out of the box along with Software manager. When I tried to launch the latter, it looked rather strange. I hoped this was just a lack of repositories update, but where is the update button? 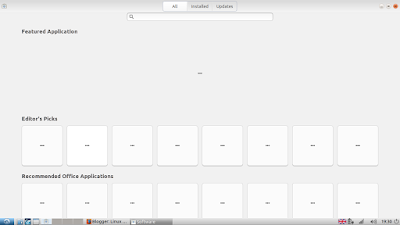 Even after I ran the Software Updater and it offered to install new versions of some packages, the view of Software installer remained the same. Lubuntu 16.10 is a very good and light operating system. Light on resources, and light on software it delivers out of the box. It was running smoothly for me, almost without any issues or slowness. Of course, there is a motley combination of various tools, which you can expect from LXDE that does not have a unified set of applications, but rather LXDE is a set of many small tools and utilities taken from here and there. There are some questions I'd ask the developers of this distribution about the set of delivered software, but otherwise Lubuntu is no doubt a very decent distribution that can be used by the variety of users with different level of Linux experience, except for very beginners.